(1995/Collectables) 61 Tracks - The most complete recordings! CD sized box with 12 page booklet! Factory sealed new stock copy! 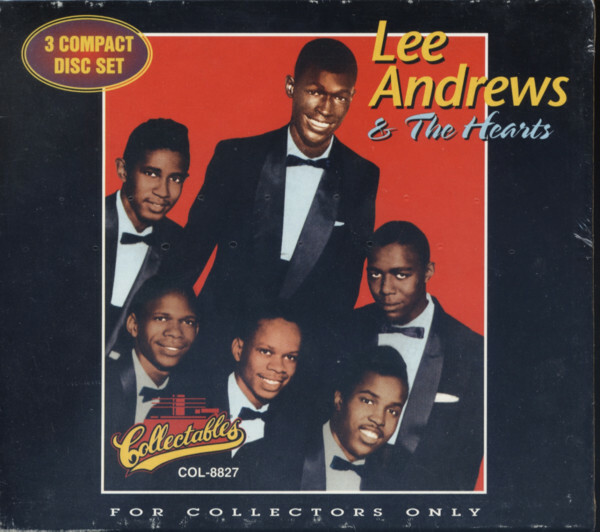 "Lee Andrews & The Hearts"
Philadelphia remained a fertile hotbed for new groups. Lee Andrews and The Hearts came together in 1952 at Bartram High School as The Dreamers. Lead tenor Andrews, who was born in Goldsboro, North Carolina but arrived in south Philly as a toddler, organized first tenor Roy Calhoun, second tenor Butch Curry, baritone Jimmy McCalister, bass John Young, and pianist Kenny Lowe. The expansive aggregation auditioned for popular WHAT-AM deejay Kae Williams in 1954, leading to their making demos of Maybe You'll Be There and Baby Come Back at Reco-Art Studios with Lowe's 88s their only accompaniment. That's when The Dreamers became The Hearts and the former Arthur Thompson changed his handle to Lee Andrews (his middle names). Kae took the demos to Eddie Heller in New York, who put them out just as they were on his Rainbow label that April. Andrews' musical tastes ran more to the pop side of the tracks (his avowed influences included Nat Cole and Bing Crosby alongside The Ravens and Orioles). While Andrews penned Baby Come Back, he grabbed hold of a pop standard for his first A-side. 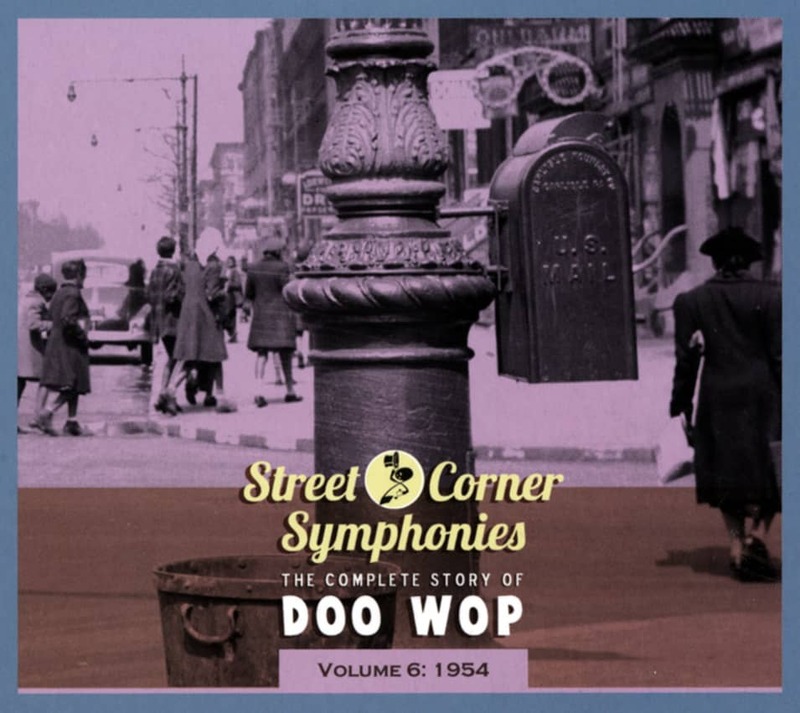 Maybe You'll Be There had been written in 1947 by Sammy Gallop and Rube Bloom and was a pop hit the next year by orchestra leader Gordon Jenkins on Decca. Eddy Howard waxed a competing version, and Billie Holiday performed it live. Unfortunately for Lee and the Hearts, The Orioles covered Maybe You'll Be There in June for Jubilee. End result: neither version ended up a hit. Heller reissued the song on his Rainbow subsidiary, where it sank without trace again. Lee and The Hearts continued to revisit Tin Pan Alley slowies for Rainbow later in the year, crooning White Cliffs Of Dover (backed with their first jump, the Curry-led Much Too Much) and The Bells Of St. Mary's (Lee's own The Fairest made it another double-sided ballad release). McAlister joined the Navy in 1955, Ted Weems replacing him. But Lee Andrews and The Hearts were just warming up. Customer evaluation for "For Collectors Only (3-CD)"